#828 Aim for the Target, grades 6-8: One of our most popular classes for students in grades 3-5, we decided to offer a new section for 6-8th graders. This class takes place at the Nebraska Game and Parks Outdoor Education Center and offers hands-on experience with archery, slingshots, and tomahawks. Students will spend time on exciting and challenging range activities and develop proper shooting techniques in an environment that fosters self-confidence and focus. And don’t worry – if your student took the class as a 3rd, 4th or 5th grader, he/she will receive new challenges and develop advanced skills to go to the next level of archery. #626 Crazy for Quilting, grades 4-6: Sewing and quilting are not skills that are passed down from generation to generation these days, so learning them can be difficult. That’s where our Crazy for Quilting class comes in handy – students can learn the basics of quilting without spending money on a sewing machine, while receiving personal instruction from someone who has quilted for over twenty years! It’s a great way to see if this is a true passion or a passing interest with minimal investment in materials. #718 Flip for Books, grades 3-5: This new class is another example of our commitment to hands-on learning - literally! Students will create handmade books from a variety of materials and used for a multitude of purposes. Participants will be inspired to create books for gifting, scrapbooking and story writing. Forget buying gifts on Etsy – your student will be adept at making keepsakes for all occasions just by taking this class. #208 Brain Games, grades 1-3: Participants will learn about the ultimate supercomputer – the brain! Curious students will learn about the basic areas and functions of the brain and explore how our brain changes as we age. Activities and speakers will hone in on keeping our brain happy and healthy, and there might even be some brain-teasers and illusions to test how the brain receives information. 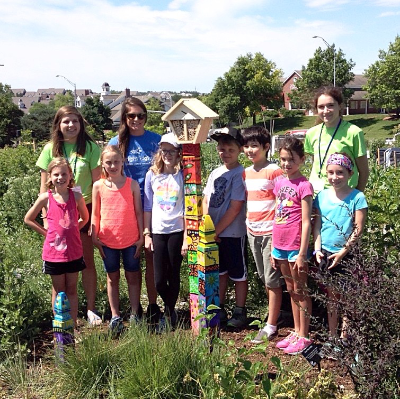 #500 Build Like an Engineer Camp, grades 1-2: This popular class was turned into a full-day camp to create more time for projects and activities. Our youngest engineers will design and build structures using a variety of materials, making time to test and improve the structure, just like in the real world! Students will collaborate on projects and receive daily challenges. This is a great class for students to get the full Bright Lights experience, staying with us 9:00 AM-4:00 PM and interacting with students who share similar building interests. Once your student learns some design and engineering concepts, there’s no limit to what projects he/she can continue throughout the summer. 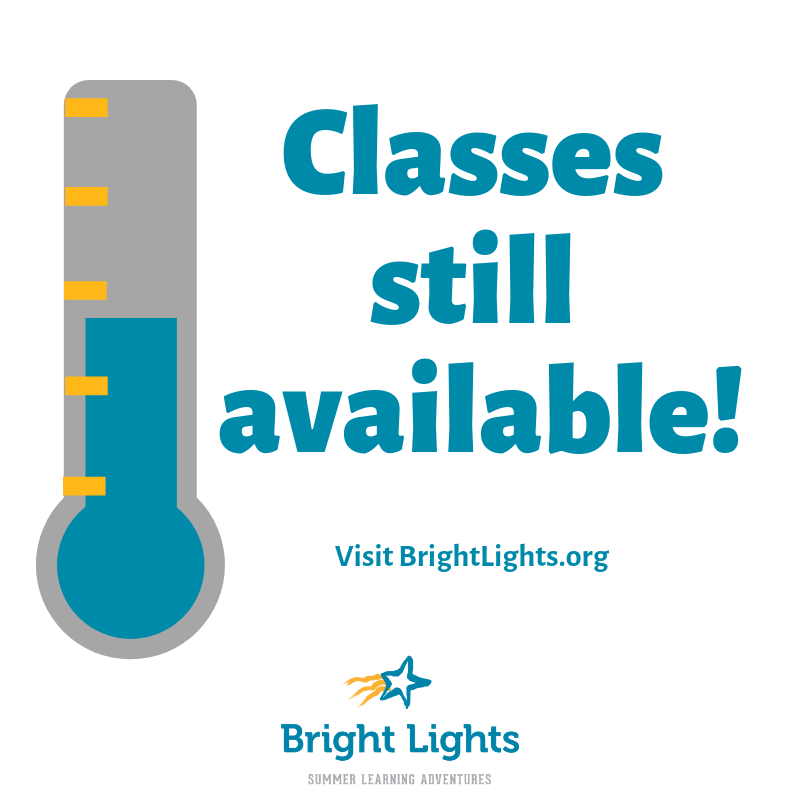 Take a few minutes to visit www.BrightLights.org and look at classes based on week or grade. Our brochure is also available for viewing online. With over 100 classes scheduled, I’m sure you and your student will find the perfect summer adventure.